Utah County may be home to a dominant indie/folk scene that’s taken root at music venues like Velour, but the local hip-hop crowd has been steadily chugging along and gaining traction with less fanfare (but, perhaps, more flare). Acts such as Apt and The Vibrant Sound have been commanding stages, and looking to lead the Utah County hip-hop charge in 2012 is Provo’s Chance Lewis, as he prepares to release his debut EP, Underdogg. Lewis is no stranger to the Provo music scene. He’s been an active musician and performer since ’99 in various projects—the longest and most prominent was Abby Normal, which lasted four years until the group split in 2008. Around the time of the breakup, Lewis started creating rap beats, but hadn’t performed them live; instead, he stuck to electro-pop/punk for his 2008 solo EP, We Are Chance Lewis. 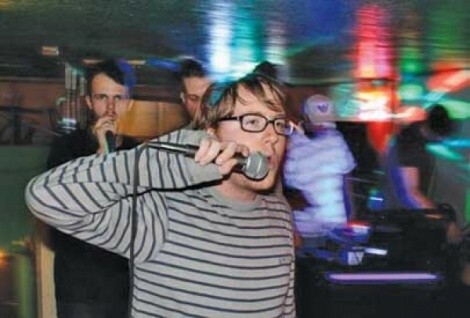 It wasn’t until Lewis met fellow hip-hop artist Apt in 2009 that he started exploring the genre and performing new material around Provo. Lewis started work on Underdogg in late 2010 with a handful of songs and beats, recording everything DIY-style except for his vocal tracks, which were recorded at Muse Music. Lewis took over recording duties because he was both unestablished and had no money to fund a professional recording. Lewis also made each track a collaborative effort, bringing in some of Provo’s more established names to sing on the album, such as Nate Pyfer (The Moth & The Flame), Scott Shepard (Book on Tape Worm), Cory Layton (Oh, Be Clever) and Cody Rigby (Back Chat). To top it off, DJ Scratchmo of The Crate Dwellers came in to add some scratches. Joel Pack of Rigby Road Studios handled the mastering for the album. As a whole, Underdogg touches on subjects such as feeling like an outcast, living in Provo and being a musician. Saturday, Dec. 10, 8 p.m.